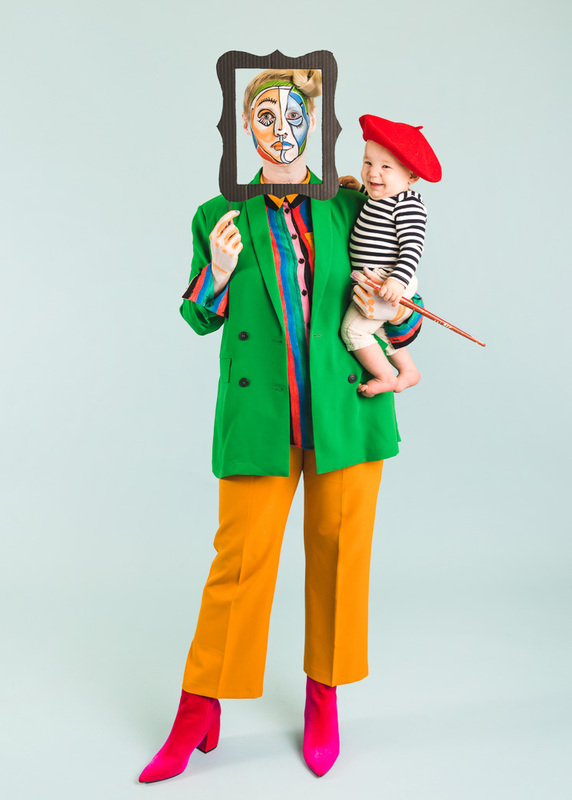 For years I’ve been dreaming about the day when I could create Mommy and Me costumes for Halloween. I mean, matching my child in costume? Yes, please! Jasper is 8 months now and I literally brainstorm the possibilities EVERY SINGLE DAY. So when Primary approached us about creating a costume with their children’s clothing, I knew it was the perfect opportunity. They have the best basics for babies and toddlers and with their color variety, the possibilities are endless. (remember our triplets costumes?!) 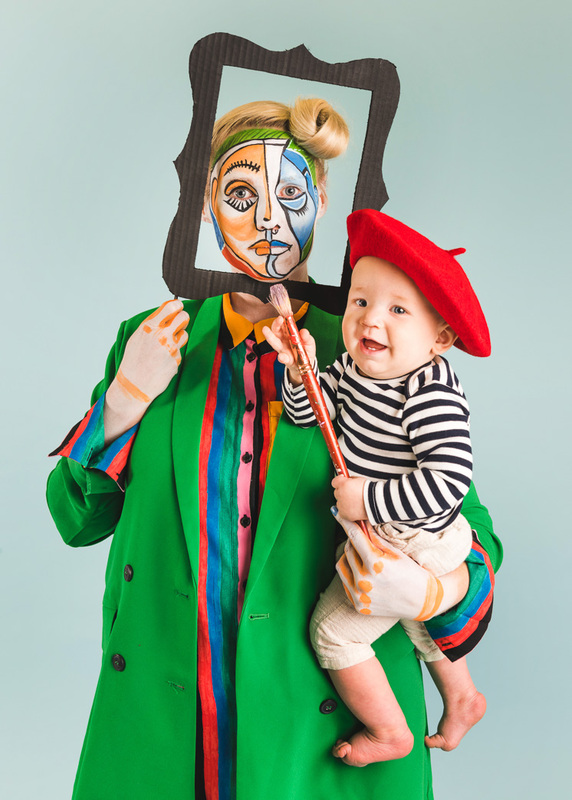 Enter the Picasso and Painting Costume! Jasper has been blessed with many gifts, one of them being Pablo Picasso’s doppleganger. I’ve included a side by side photo comparison for your viewing pleasure. Is it the bald head? The nose? The big belly? Listen, having my son resemble a master, no matter the appearance, is enough to convince me that he may also be a genius. Primary just so happened to carry a navy and white striped onesie, so it was clearly meant to be. Jasper would be Picasso and I would be his most prized work of art! Ha! It came together really quickly and is super easy to DIY! Take a look to see how we created the whole ensemble! 2018 has been a year chock full of empowering women who have inspired us in so many ways. In that spirit, we picked a few of our favorite women to honor this Halloween and to channel some of their girl boss energy! 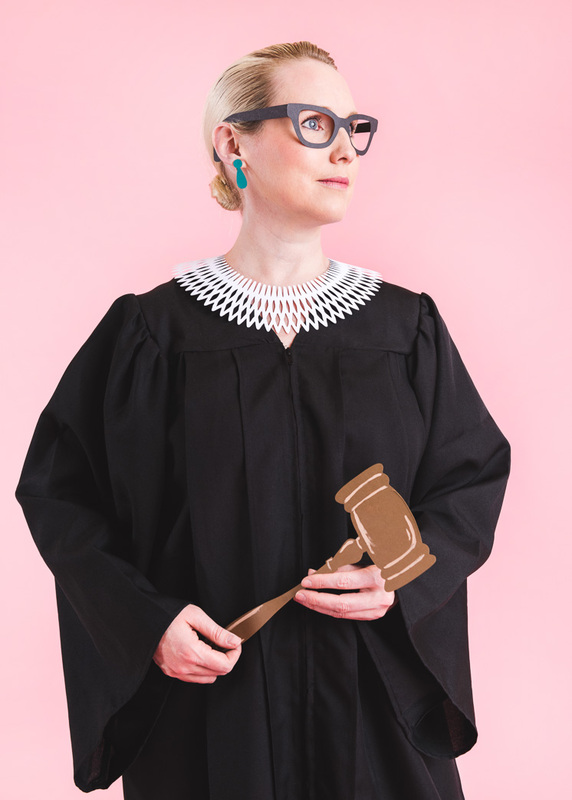 Kate Spade, Serena Williams, and Ruth Bader Ginsburg were our respective picks. 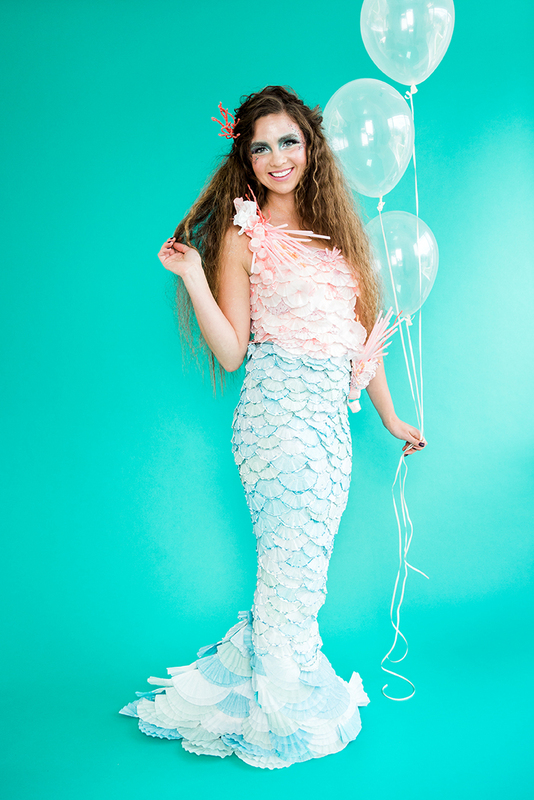 We partnered with Cricut to make their costumes come to life using the Cricut Maker. And we’ve made it super simple for you by providing all the templates you need to cut out the basic elements ALL OUT OF PAPER! NO SEWING INVOLVED! Get all the templates and instructions to create each girl-power costume! You know how with almost every holiday we give cards? Christmas cards, Valentines, a note of gratitude for Thanksgiving, Mother’s and Father’s Day of course–cards are expected for all these occasions and more! But somehow Halloween got the shaft when it came to the card gig. Instead, we give candy and treats! Now I’m not complaining, who complains about treats? 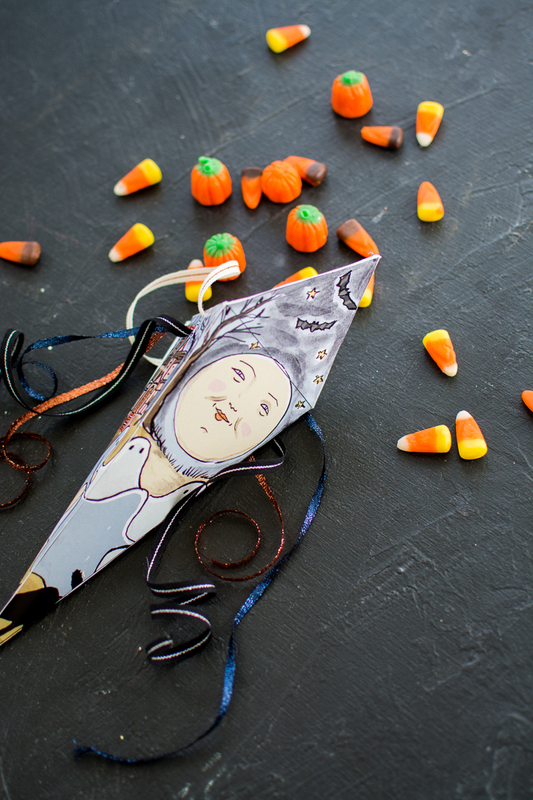 However, I think that if we paired our goodies with a sweet Halloween card, everyone would be a bit happier! Personal opinion. 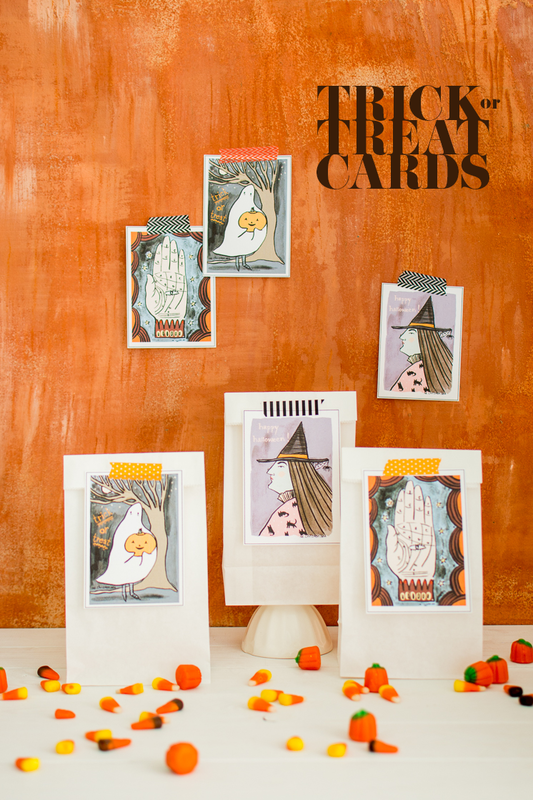 These printable Halloween cards are the perfect thing for teachers, friends, co-workers, neighbors and anyone who needs a little sentimental spook! Write a little note on the back, tape on a bag of treats or a plate of cookies, or simply send in the mail! 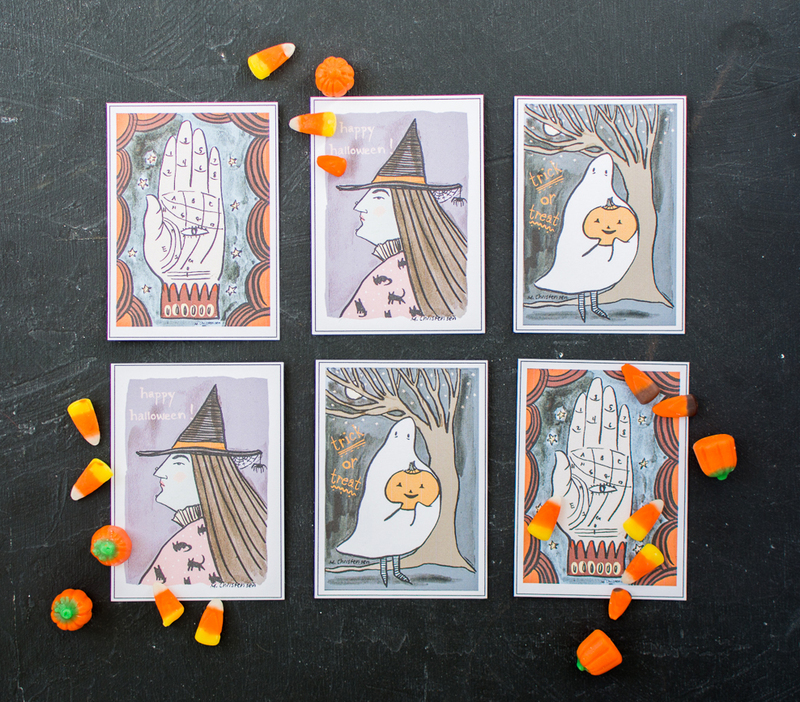 Get all the printables and spread some spooks! 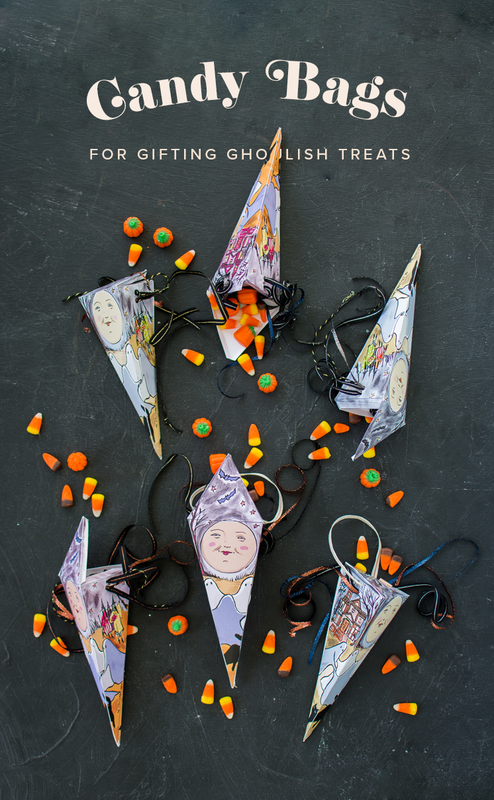 ‘Tis the season for giving goodies so why not tuck them into a printable Halloween candy gift Box while you’re at it! It’s much cuter than a handful of candy and makes the perfect gift for friends and neighbors! I’m loading up a bunch to give out to a few women at my church. I’m trying to be more aware of those around me and sometimes a little seasonal treat is just what the doctor ordered. These would also be great to take to your kid’s classroom or even to the workplace to brighten everyone’s day! Tied with a variety of ribbons, these boxes are a breeze to put together. Download the template and start putting some treats together!